Grammar Nazis have seized control of the country. 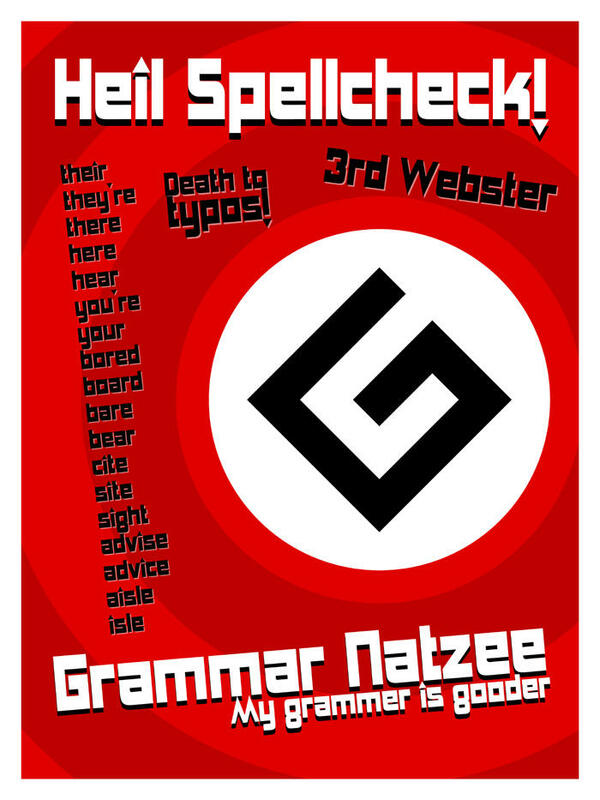 They run everything and show no mercy to the grammatically deficient, seeking to purify the Grammaryan race. Your neighbors are shredded bones and rotting guts, your classmates are festering in camps. You are seven years old, you read little and speak even less. Your family has been detained on the false charge of a dangling modifier. “Once we are released,” your father whispers to you, “our friends will sneak us out of the country.” He hands you a letter to carry to the guards. “Its not our fault,” the letter begins. Washington Redskins owner Daniel Snyder thought this whole name brouhaha would have blown over by now. “My original plan was to sit down at my computer, type up a treaty promising to adhere to their demands, get them to sign it, and then BAM, I wouldn’t have to do anything at all,” he said. “Powerful white guys have never cared about the natives. That’s just how it is,” said Snyder, adding that it would be “really embarrassing” to be the very first white guy in American history to give the Native Americans what they ask for. But Snyder, who is concerned about the negative publicity his team is receiving, is running out of ideas for what to do next. “Think Daniel, think!” he said to himself. “There’s got to be a way to make this whole mess go away. Native Americans have been easily screwed over in the past. What did George Custer and Andrew Jackson know that I don’t?” Snyder even tried coughing into a blanket and mailing it to Edwards’ office, a move she did not appreciate. “I didn’t want to do the ice bucket challenge until my air conditioner broke,” Ingram added. “Then I thought oh wow I’m really hot, then I thought hmm I wish someone would dump a bucket of ice water on my head, and that was when I realized I should do something to help children with Steven Hawking disease.” Posting the video to her facebook page also gave Ingram a chance to show off her new toned post-walk-a-thon season body. Ingram’s son Alex shared her sentiments regarding charity. “I like wearing my ‘I love Boobies’ shirt because I get to express my love of boobies while helping cure boobie cancer,” said the 17 year-old. Tucker Paulson sat at a corner of the annual Indian American Festival feeling hungry, bored and alone. The aloo gobi was too spicy to even take a bite and there was no hope of dancing, as he could hardly keep up with the fast-paced bhangra beat. When the hot September sun had turned his rosy cheeks and uncomfortable shade of fuscia, Paulson decided he had had enough. “Just for once I’d like to see a festival celebrating my culture,” he moaned on his way to the parking lot. Everyday Greenspan opens her newspaper hoping for a war with Belgium, Italy or maybe even India. “Come on Obama, give me something to work with here!” says the culinary war hawk. Greenspan added that a French-Vietnamese Fusion war would be ideal, but that she’d also like to see us bomb Japan a third time, since tempura is so scrumptious. I am delighted to announce that you will all be required to read Foundations of Social Psychology by Professor Jeffery Ward (that’s me!) this semester. After carefully evaluating a number of textbooks, I have come to the conclusion that the book most suited to our studies just so happens to be the one I wrote. What a coincidence! You may be wondering whether any sort of bias influenced my decision. It didn’t! Teaching from a book authored by one of my peers would mean I would have to evaluate and consider opinions that aren’t my own. Why bother with that when I already know that I agree with myself 100% of the time? You may also be wondering whether I will make any of the copies my publisher gave me available. I won’t! In my years of teaching I’ve found that spending $200 on the required course material is most conducive to student’s learning. This has nothing to do with the considerable profit I’ll be making off of the 200 students in my lecture, all of whom will need the latest edition of my book. I myself have concluded that students who spend half a month’s rent money on a required text are most likely to take the course seriously. And don’t you even think about trying to buy any used pervious edition for cheaper. It’s true that I only changed about three paragraphs from the previous edition to make the newest one. But I jumbled up the page numbers and chapter sequence, so good luck following along with the rest of the class, ya cheapskates! The legendary Jack the Ripper has finally been identified. Driven by curiosity, amateur investigator Russell Edwards analyzed DNA samples from the shawl of one of the victims, and mitochondrial DNA led to the connection of the crime with suspect Aaron Kosminski. 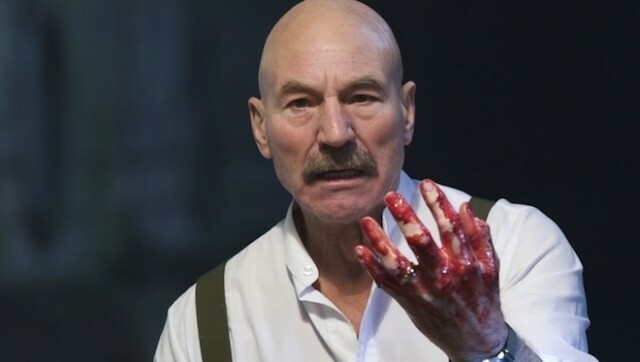 Doubting Edwards’ claims, a University of Pittsburgh team conducted their own analysis and discovered a shocking new suspect in the crime – acclaimed actor Sir Patrick Stewart. Further analysis was performed on the DNA samples available, and in an even more bizarre turn of events, the victim was also found to be Stewart. Dr. Notta Fohnii, head of the investigation team, describes a radical new theory – Stewart is not just one person. “It was already common knowledge that Stewart isimmortal,” she told The Pittiful News, “but finding that he is in more than one body was a major shock.” Fohnii explains that Stewart seems to be able to split his consciousness and not just inhabit but become more than one body. While each body is not an exact clone, they all share a specific DNA sequence not found in other humans. Those people live out very different lives, but all can be identified as Stewart. Some members of the investigation team, upon arriving at this conclusion, retired from their field of work to form a religious sect dubbed the Patrick’s Gate Cult. “We believe that we are all servants of The One True Stewart,”said researcher Norman Mivi. “He blesses the just among us with His many, many legs so that we may join Him in His eternal paradise of weekend Star Trek marathons.” The members of Patrick’s Gate believe that those who possess his DNA are the true servants of Stewart and will go on to live in happiness after death. Dr. Fohnii, however, has denounced the cult as “a sham and a disgrace to the man,” stating “to believe there are any higher beings than Stewart himself is blasphemy.” DNA samples of such celebrities as George W. Bush, Katy Perry, and our own Chancellor Gallagher have been taken; however, due to the time it takes for these tests to provide results, everyone will likely forget about the whole thing again before the results are in.